Water is fundamental for sustainable development, healthy ecosystems and energy and food production. This issues have been a priority for EfD Central America’s research agenda for more than 10 years, and now more than ever, with the climate conditions the region faces it makes researchers from the center put all their effort conducting research and communicating their results in several platforms and events. The session aimed to bring into discussion the latest research findings and what’s left to come to help achieve the goals of Agenda 2030 on conserving biodiversity and freshwater related ecosystem services. Freshwater management is key for protecting and sustaining biodiversity, yet to achieve this and the ambition of the SDGs, society must adopt wiser strategies for managing freshwater systems, this was Madrigal’s research input in his paper where he has worked with community based organizations in charge of the water provision and their challenges under climate stress and protection of the resource. Water is also at the heart of adaptation to climate change, serving as the crucial link between society and the environment. In Costa Rica there has been progress in the provision of potable water nationwide; However, due to population growth, problems of agglomeration, and complications in water availability in some regions, water demand management policies are also becoming a key tool for household welfare, development of the different populations and conservation of water resources. 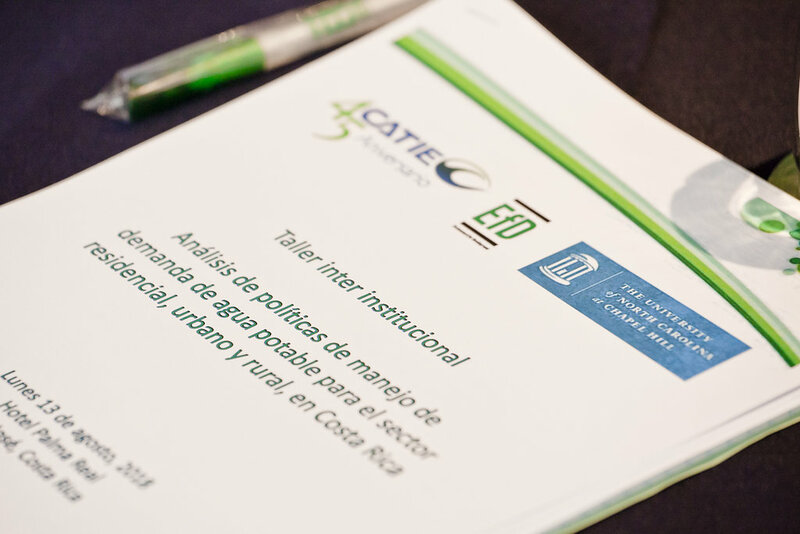 The workshop brought academics, researchers and decision makers together from the water sector in Costa Rica with three purposes: first, to discuss the empirical evidence at the global level of water demand management policies in the residential sector by presenting work on objectives of drinking water tariff design for the residential sector and if these objectives been met in developing countries? 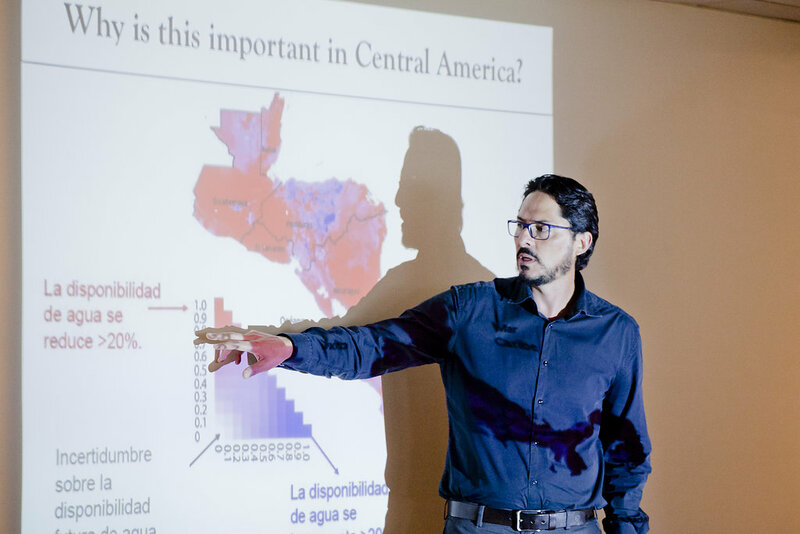 By EfD researcher Helena Cárdenas, followed by the work on adoption of water conservation technologies in rural and arid areas of Costa Rica by EfD researcher Francisco Alpizar. 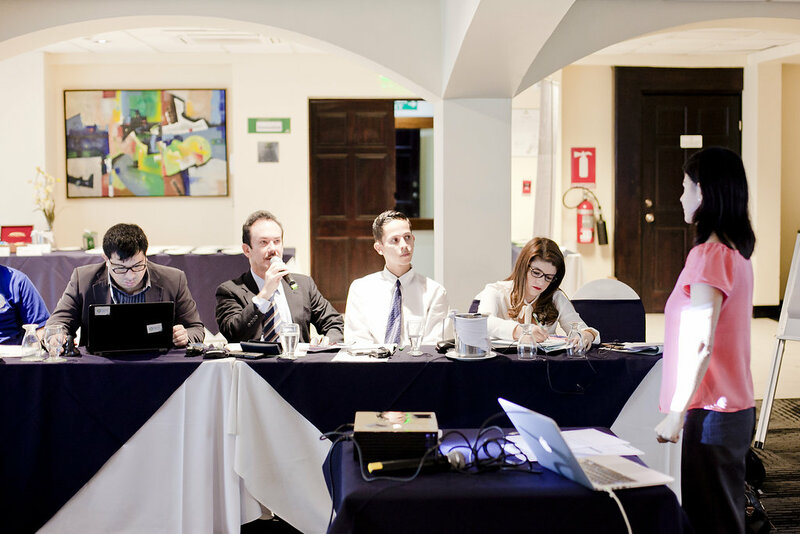 Second purpose of the workshop was to know the current status of pricing policies and other policies for domestic potable water demand in urban and rural areas of Costa Rica, where Carlos Herrera from the Public Services Regulatory Authority – ARESEP, Lisseth Rodríguez from the Area of Social Information Systems, of the Institute of Social Assistance – IMAS and Quírico Jiménez from the Public Services Company of Heredia presented their policy efforts on water demand. Third purpose of the workshop was to identify the issues that require further evaluation and create a research agenda that provides the necessary inputs for the sustainable public management of the potable water sector in the country.